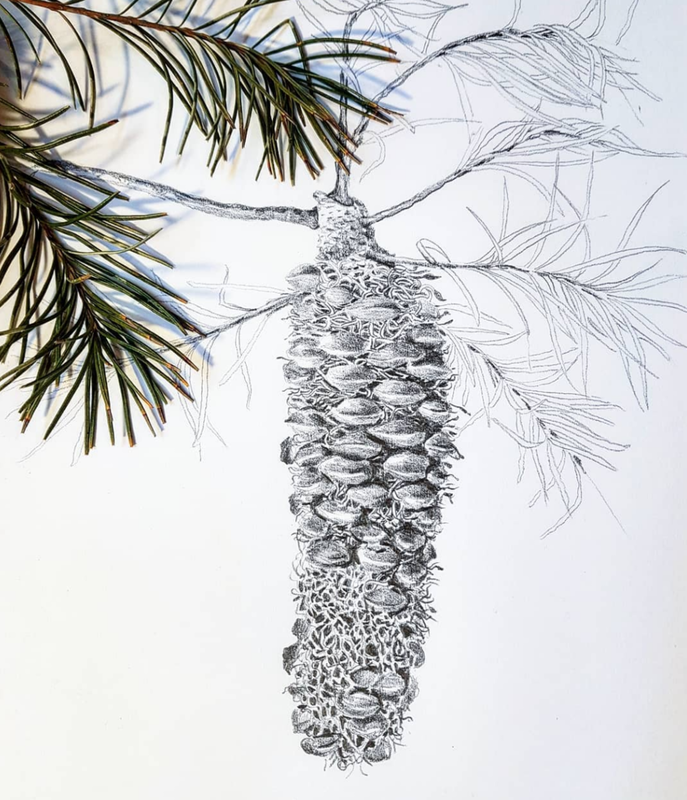 Join illustrator Rose Colbeck for a full day on the farm where you will be taught the techniques behind botanical illustration. Throughout the day you'll work on a couple of drawings to take home with you. Rose will take you on a stroll through the farm and surrounding gardens to draw inspiration from your surroundings and see what stands out for you. Certain plants will spark joy for different people, if there is a plant of beauty from home that you would like to draw, please bring it on the day. You’ll leave the workshop with skills in creating your own portfolio of botanical beauty. Rose Colbeck’s art practice spans from classical drawing to mixed media explorations of space. Her practice as an artist spans back to her childhood where key family members consistently created artworks as a regular activity. Also a qualified textile designer, Rose works across traditional courses of creativity with botanical illustration as well as mixed media and dyeing artworks. She teachers from her home studio and uses art as an avenue for community engagement.